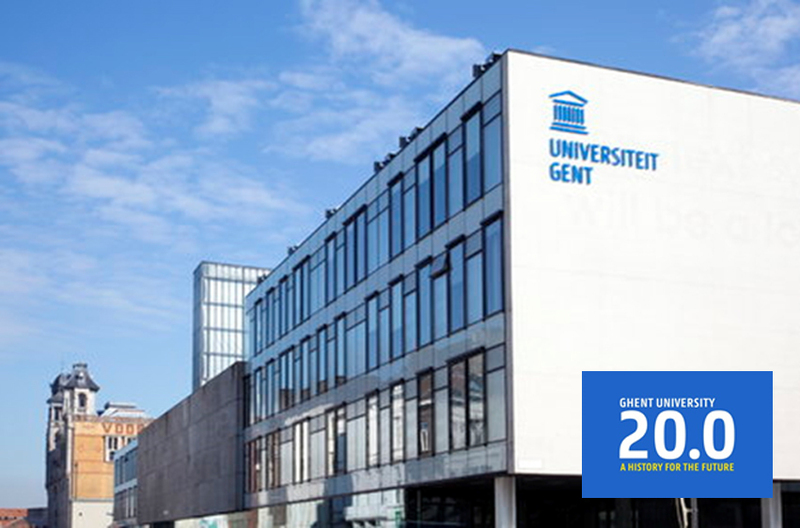 University of Ghent, Belgium is offering PhD position in molecular modeling. The funds for this position are available for four years. The deadline to apply is October 15, 2018. We are pleased to announce a fully funded FWO PhD position, in the frame of a collaboration between Ghent University and the Catholic University of Leuven, for a duration of four years, supervised by prof. Toon Verstraelen (UGent, Center for Molecular Modeling, http://molmod.ugent.be) and prof. Christine Kirschhock (KULeuven, Centre for Surface Chemistry and Catalysis, https://www.biw.kuleuven.be/m2s/cok). You will primarily be working at the Center for Molecular Modeling, a multidisciplinary research team of 40 researchers from the Faculty of Sciences and the Faculty of Engineering and Architecture. The project also requires regular visits to the other partner for work discussions and to make sure simulations are maximally useful for the experimental aspects of this project. You will apply and develop different types of force-field models (conventional and new) to understand the structure of the ionic liquids in this project, and the factors that govern the type of zeolite that is eventually formed. The overall goal of this project is to understand how zeolites grow in ionic liquids and which factors govern crystal structure and morphology. Two students will be working on this project, one carrying out experimental research at KULeuven, and one conducting theoretical and computational research at UGent. This vacancy is specific for the UGent position. Your task is to characterize structural and dynamic properties of hydrated ionic liquid synthesis mixtures with molecular dynamics simulations, under conditions that match the experimental setup as closely as possible. One of the first questions to be answered is how the initial ionic liquid is structured and whether this structure shows any similarities with zeolites formed later. In the first stage, simulations can be carried out with state-of-the-art force fields. Later, this work will be extended toward mapping preferred precursor pathways in the early stages of the synthesis. In this context, you will develop a so-called reactive semi-classical electron force field, which can fully capture the reactive dynamics of the synthesis mixture. You are expected to disseminate your research in publications in leading journals in the field and to submit and defend your thesis before the end of the contract. - We are seeking exceptionally qualified and motivated applicants for this position. This means only students with high grades and research experience in their B.Sc. and M.Sc. studies in physics, applied physics, chemistry or chemical engineering from renowned universities will be considered. - This position is open for applicants with a background in molecular simulation, quantum mechanics, force-field models, UNIX and programming in C++ and Python. - In addition to a strong scientific and technical background, it is important that you have good scientific communication skills (written and oral) and sufficient social aptitude to integrate in a diverse and competitive research group. Applications should be sent to Toon.Verstraelen@UGent.be before October 15, 2018, with the subject: “Application for Ph.D. position – Modeling zeolite synthesis in ionic liquids”. - a list of two professors who have supervised you in your B.Sc. and/or M.Sc. research project and who are willing to provide a letter of recommendation. All documents should be in PDF format and written in English. From all applications, a short-list of candidates will be made, who will be contacted for an interview over Skype.